Many Filipinos who dream of going abroad have become sailors or marines as an option. We have several good colleges which trains these able-bodied men and women to sail and patrol the sea and bring cargoes to our shores safely or make life fun and easier to holiday cruising people. When we went for an Egyptian cruise, most of the officers on the boat were Filipinos. They were the nicest people, calm and courteous. I believe many Filipinos sail the seas every day of the year as officers and deck hands and seaman of ships and liners. Without our Filipino manpower, sailing may come to a sudden halt. Bravo Filipinos! To you I dedicate the witty ditty below. And think you should sailing go. Because from experience I know. Of the wheelhouse and bridge have no fear. Don’t be a Bosun or only Ab’s. His clothes so seldom he soils. While far down below deck ratings toils. While out on deck the mate suns. Or even the ship learn to steer. You’ll rue the day you’re a Deck rating. This woman is the most hardworking person ever. She should be given a pay rise. I hope they appreciate her, because I do. I think she is great. She make elevator riding fun. To anyone who knows her or sees her, please tell her that she has the GlobalGranary Gold Medal award for most disciplined and hard working employee of the decade. She works for SM (Shoe Mart), Olongapo branch, Philippines. Well done Miss Cheridel Alejandrino. Only five of the country’s universities, led by the University of the Philippines (UP), made it to this year’s list of top 300 Asian universities ranked by Quacquarelli Symonds (QS). This was the lowest number of Philippine universities to make the cut since QS began ranking universities in Asia in 2009. Last year, 14 of the country’s own made it to the list of Asia’s top universities, according to QS. There were 15 Philippine universities on the 2011 list, 18 in 2010 and 16 in 2009. UP’s ranking went up by a notch—to 67th—in the 2013 QS University Rankings for Asia released on Tuesday. It was ranked 68th last year, 62nd in 2011, 78th in 2010 and 63rd in 2009. This year Ateneo de Manila University was ranked 109th, down from its 86th ranking last year. The University of Santo Tomas (UST) was ranked 150th, compared to 148th last year. De La Salle University was ranked in the 151-160th range, down from its 142nd rank last year. The University of Southeastern Philippines remained in the 251-300 range, where it was last year. UP, Ateneo, La Salle and UST have consistently made it to the QS list of top Asian universities since the rankings began in 2009. The nine Philippine universities that were on last year’s list but did not make the cut this year were Silliman University, Xavier University, Saint Louis University, University of San Carlos, Ateneo de Davao University, Adamson University, Central Mindanao University, Mapua Institute of Technology and the Polytechnic University of the Philippines. They were in the 301-plus rank last year. These universities were among the Philippine universities that were consistently included in the QS ranking since 2009. QS ranks universities worldwide according to nine indicators, mainly based on reputation and research citations. The indicators are academic reputation, employer reputation, faculty and student population, citations per paper, international faculty, international students, papers per faculty, inbound exchange and outbound exchange. QS started the ranking among Asian universities in 2009. From 2009 to 2011, it ranked the 200 top universities in the region. Last year it expanded the ranking to cover the top 300 Asian universities. This year’s top Asian universities were the same as last year. Hong Kong University of Science and Technology once more topped the QS ranking. Once again it was followed by National University of Singapore, University of Hong Kong and Seoul National University. Last year’s sixth-ranked Peking University rounded up the top five this year. No self respecting award ceremony would want you to think it wasn’t the biggest, most exclusive gig in town – so it has to look like a sold out star-fest to the adoring TV audiences at home. But it’s all just smoke and mirrors… and seat fillers. 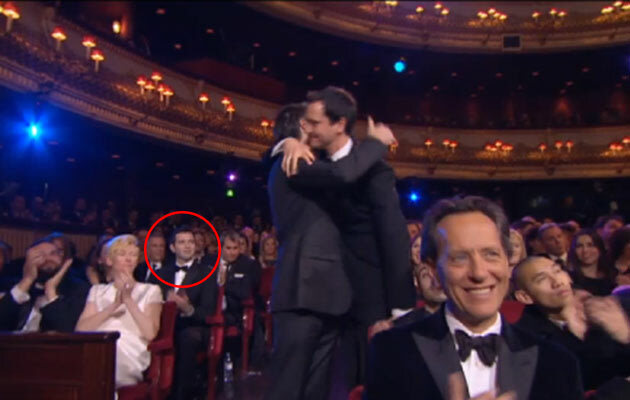 The practice of seat filling is the endearing elephant in the corner of awards shows. Everyone knows it goes on, you’re just not supposed to notice. Say a star wins an award, presents part of the show or even pops to the toilet; they leave behind them an empty seat and a chink in the armour of celebrity. That’s where the humble seat filler comes in. Teams of well dressed volunteers wait in the wings to temporarily fill any empty spots, so that when the camera turns round, you get a sea of smiling faces, not a spattering of lonely luvvies. 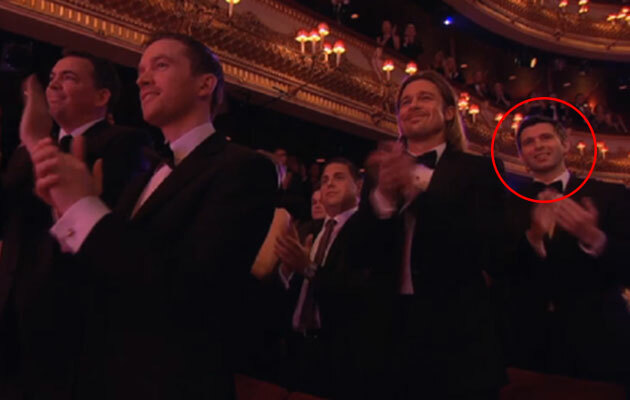 Ed Toll is the founder of London-based graphic design agency ‘OneFiftyNine’, but for one night only in February 2012 he became a seat filler for the 65th British Academy Film Awards. Ed landed the gig through a friend in the production company, but there are specialised seat filler agencies out there that a quick web search will bring up. As expected though, the waiting list to sit with the stars can be pretty long. If you do get selected, be prepared for a night of well-dressed running around. Men are expected to wear dinner suits, and for the ladies it’s black evening wear. It’s a staging operation of staggering efficiency, and all in the name of good PR. But let’s be honest, the real reason anyone wants to be a seat filler is to sneak in with the Hollywood set and get caught on camera doing it. And why not? Who wouldn’t if they could? It all seems very bizarre, but Ed says they all took it in good humour. It can’t always go to plan though? Coordinating human-sized pieces in a game of on-air celebrity chess, something is bound to go wrong. “We weren’t sure exactly where the seat was or whose it was,” he continues, “but it was coming towards the end of the VT window. I ducked down and sprinted down the aisle past bewildered stars and cameramen only to find there was no sign of the mystery seat. I looked back up the aisle for some direction and then my heart started to beat really fast: I saw so many faces I recognised staring back at me, and none of them knew who I was or what I was doing. 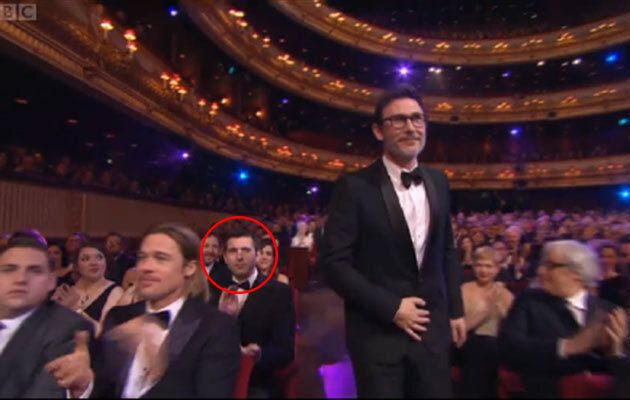 The 66th British Academy Film Awards is on BBC1, 10 February 2013. Keep an eye out for Ed. Isn’t it most annoying that wearing a tie becomes impossibly complicated when you are going to be late for work? Even more stressful is when you can’t find a tie to match your shirt; when you find one, your digits are all thumbs. My husband says that most people at his work do not wear ties anymore. The ties are often relegated to the trousers’ pocket waiting to be worn when they have more time puzzling the art of tieing but most of the times, ties remain forlorn in the cocoon of sweaty pockets. Gone were the days when you have to be suited and booted to be personable enough to hold an office job. No reason anymore not to smarten oneself up. Wear that tie!